Thanks, in part, to the popular television shows that dramatize the profession, crime scene investigation piques the interest of college-aged career-seekers. The glamorization of CSI work does not detract from its legitimacy – there are challenging opportunities for employment in technical specialities related to forensic science. It all starts with education, because the field is extremely competitive. Only top performers receive the most lucrative scholarships and preferred positions in the country’s leading forensic science programs. The forensic science umbrella captures a range of academic disciplines; from chemistry, to criminal law and microbiology. 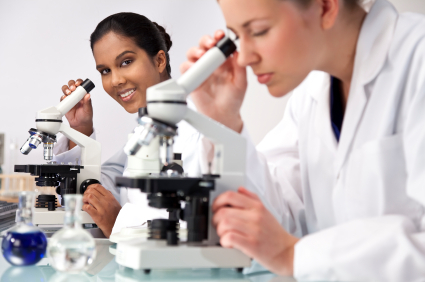 Detail oriented individuals with an aptitude for scientific analysis are likely to excel in forensic science fields. While the television shows make it look as though CSI is a jack-of-all-trades position, it is common for professionals to specialize in one facet of the field, such as ballistics, toxicology or victim identification. Laboratory work is a mainstay for many specialists, but others do engage in the glorified fieldwork seen on TV. The Association of Firearm and Tool Mark Examiners (AFTE) Scholarship provides funding for students pursuing degrees in Forensic Science. As part of the administration process, applicants submit essays explaining why they chose to pursue crime investigation education. First preference for receiving scholarships is given to high academic achievers. Annual awards are valued at $2000 each. AFTE Scholarships are renewable, but it is not automatic: Students must reapply each year. Students attending Forensic Science Educational Program Accrediation Commission (FEPAC) accredited schools receive priority consideration for landing ASCLD funding. The Emily R. Murphy Scholarship in Forensic Science, issued by Virginia Commonwealth University is named in memory of a former VCU forensic science student who died in a car crash. The endowment is funded by donations from family, friends and alumni. Each spring, a high-achieving graduate student is rewarded with educational funding from the scholarship program. Interested applicants are encouraged to contact the VCU financial aid office. In addition, successful applicants are required to attend colleges and universities located in the NAFS region including, Maine, New Hampshire, Vermont, Rhode Island, Massachusetts, New York, Connecticut, New Jersey and Pennsylvania. The Carol De Forest Forensic Science Research Grant is also administered by the NAFS. C.W. Post Forensic Science Scholarships are open to undergraduate student applicants enrolled in the forensic science program at the Long Island University school. Applicants with the highest GPAs are considered first, alongside essay finalists who clearly articulate the scholarship’s value in helping them attain their career goals. Over 85% of C.W Post students rely on financial aid administered by the school. Cedar Crest College recognizes outstanding performers in the forensic science department, with academic scholarships. The school’s Outstanding Forensic Science Senior award is issued based on program excellence, participation within the profession and active membership in the campus Forensic Science Student Organization (FSSO). The Chesapeake Bay Division of the International Association for Identification funds the George Robinson Memorial Scholarship. Students and working professionals seeking continuing education funding are invited to apply. Eligibility requires membership in the organization, as well as high academic achievement – qualified applicants possess superior GPAs. The A.F. Wentworth Fellowship in Forensic Medicine Fund provides qualified University of Florida graduate students with funding for forensics studies. American Academy of Forensic Sciences sponsors the Forensic Science Education Program Accreditation Commission (FEPAC). Scholarships and other financial assistance initiated by off-campus entities requires accountability. To ensure that scholarship dollars are going toward worthwhile forensic science pursuits, funds are often reserved for FEPAC approved institutions of higher education. The organization uses formal, standardized evaluation techniques to establish and maintain stanards of practice for forensic science educators. The list of accredited forensic science programs includes noted programs across the country like UA-Birmingham, Marshall, Michigan State, Ohio University, Oklahoma State University, Arcadia University and Virginia Commonwealth. University financial aid administrators specialize in matching forensic science students with appropriate scholarships, grants and educational loans. Consult the professionals at your school for information about campus-specific CSI scholarships.